The government wants to probe into the sources of inciting and provocative messages and posts which have led to violence across the nation, incidents of lynching and various other controversial issues. In order to do so, it has proposed certain guidelines that would require Whatsapp to unveil information regarding the origins of messages. As doing so will contradict the end-to-end encryption WhatsApp provides, the company will oppose the proposed regulations. It will also be violating free speech and privacy rights. The intermediary guidelines which are reported to be made public after elections will include jail terms and penalties for heads and officials of various messaging platforms and social media companies for non-compliance. “What is expected from the rules is just not possible considering the end-to-end encryption the company provides — it would mean a new product.” He added. The Facebook-owned app, which did not answer all the questions, believes that confidentiality is one of the key aspects of what they have to offer. They feel that gathering private information of users is contradictory to the whole idea of WhatsApp which was primarily designed to keep the conversations private. 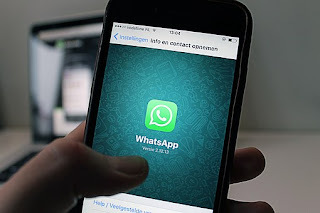 Understanding the concern of national security and integrity, WhatsApp said that it has made essential changes in the product and has addressed misinformation via public education campaigns. Besides that, the company also made necessary alterations like limiting the times a message can be forwarded and letting people exit groups in one tap. However, the government did not seem to be satisfied with these alterations and has continued to request for traceability.